Stretching from the outskirts of Sacramento deep into the Sierras, Placer County covers 1400 square miles and includes rugged canyons, white water streams, placid lakes and grassy valley meadows. Placer County homes for sale range from convenient houses in traditional neighborhoods to private estates with sweeping views of forested slopes. The area is a prime destination for hiking, kayaking, and mountain-biking, and is sometimes called the Endurance Capital for its many challenging events, including runs, cycling, and even horseback races in the rugged foothills. Miles of trails, dozens of streams and lakes, and a wide variety of terrain make Placer County a place for endless outdoor fun. People are also drawn to properties here, as well as homes for sale in Grass Valley, CA, by the friendly, active communities, historical treasures, and great schools. The market for Placer County homes for sale is very active and properties are in high demand. Still, average prices here are as much as 40% below those in places like the Bay Area. Combined with high-quality construction, larger lot size, and idyllic natural surroundings, this makes homes for sale in Grass Valley CA and other area communities an outstanding value. The range of community activities and amenities is considerable, with excellent public schools and strong cultural organizations. Local businesses include more than a dozen wineries, which take advantage of the area’s Mediterranean climate. The County is situated at an elevation that is above the valley fog, but below the level where heavy snowfall is common. For winter sports enthusiasts, world-class skiing is available just up the road. 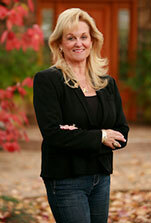 Be sure to get in touch with me if you have any questions at all about the exciting Placer County homes for sale. I am ready to work with you to help meet your goals and make your plans a reality. I look forward to hearing from you and to earning your trust and lasting business.